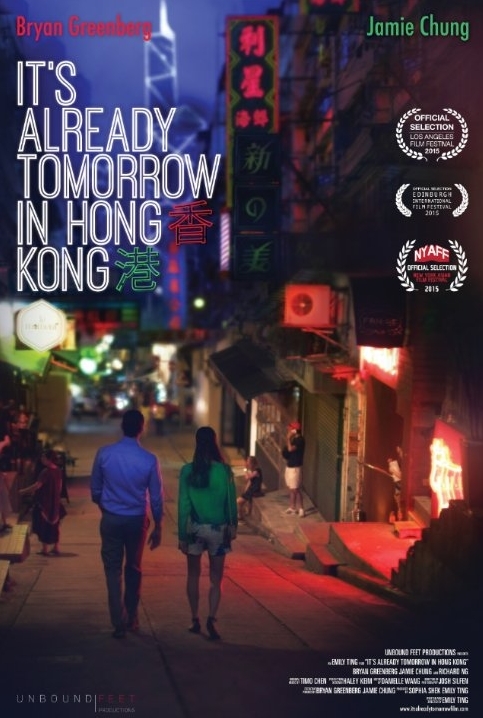 I was fortunate enough to catch It's Already Tomorrow in Hong Kong at the New York Asian Film Festival. Currently making its way around the film festivals, the romantic film centers on two individuals that have a chance encounter with each other in Hong Kong. Incredible chemistry between the two real life couple, Jamie Chung as Ruby and Bryan Greenberg as Josh, clever dialogue and the oh so beautiful vibrant night life of Hong Kong as a character of its own. As I said before, with the two actors both being a couple off screen, it definitely helps with the chemistry. The two veteran actors, Jamie with mostly action films, and Bryan better known for his television roles including One Tree Hill put on superb performances. The dialogue is quite what you expect but yet intelligent and witty to keep you interested even when the majority of the film is just the two walking and talking. Veteran Hong Kong actor Richard Ng is great in his cameo as a fortune teller that Ruby and Josh comes across. The enthusiasm that Richard brings out elevates the game of the two leads in that scene. There is little to find fault with the film. It was not quite what I was expecting but thoroughly enjoyed it anyway. I would have preferred a different ending, and the majority of the audience seemed to agree when the screen rolled to credits. As well since the film is a romantic film with humor sprinkled throughout as the two playfully engaged each other this might not be for a bunch of guys looking for something similar to Hangover or Old School. Overall, I would recommend this film if you have a chance to catch it at a festival. 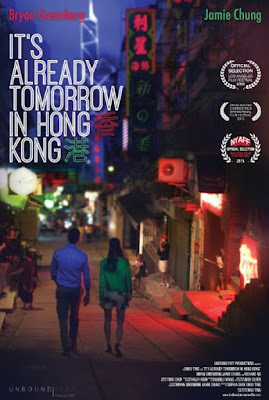 It is a great date movie, as well an interesting look into a side of Hong Kong from a foreigner's perspective. Following my screening, there was a Q&A with the Director and two leads. Jamie prodded Emily to the audience the origin of the idea which actually came from Emily's experience living as an expat. Emily explained though that her actual experience was less romantic, and as well the real life Josh are still friends to this day. Also during the Q&A they discussed the difficulties of shooting the film in a foreign land despite having all the permits in place but not enough funds to block off streets. To me, this added to the realism of the film, the vibrancy of Hong Kong as the third lead character.